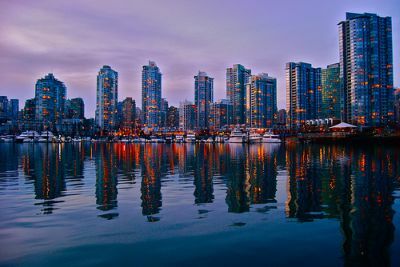 Despite the disruptive influence of recent rule revisions, the pre-sale concrete condo market in Vancouver remained relatively unaffected, according to a new report. The study by MLA Canada noted that the sector’s stability—amid the B.C. foreign buyers’ tax and the new federal mortgage regulations—is projected to continue well into 2017. “The various government interventions have shown little effect on the pre-sale market to date, and with over 10,000 concrete units currently being planned for 2017, Greater Vancouver will continue to have steady absorption figures,” MLA stated in its report, as quoted by Business in Vancouver. Activity was strongest in Coquitlam, which saw 1,861 completed transactions for pre-sale concrete condos in 2016. Burnaby’s Brentwood ranked second with 1,784 units sold. Throughout the region, 8,955 units were released for sale last year—and MLA predicted that this number will grow by almost 20 per cent (up to a little over 10,000 units) in 2017. However, housing starts—which have reached a record-breaking high last year—should not be expected to continue growing at the same pace. “Paired with continued low interest rates, steady population growth and stable employment trends, expect to see demand keeping up with supply, maintaining relatively constant activity levels and more modest price increases compared to 2016,” MLA said.